I hope you are having a wonderful weekend! 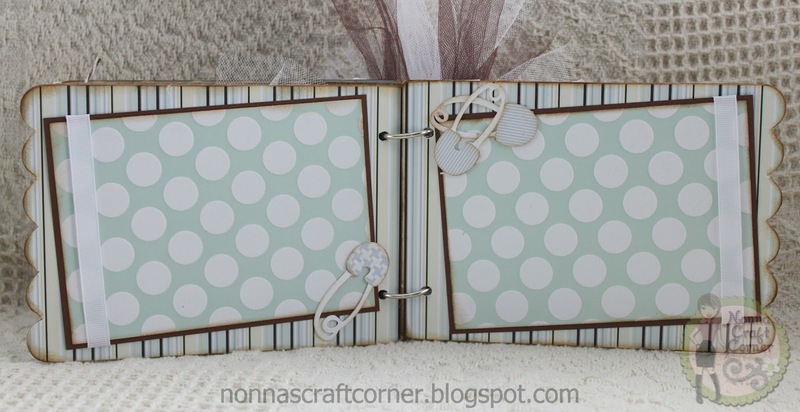 I've spent a lot of time in my craft corner this weekend, so, it's been a good one for me! 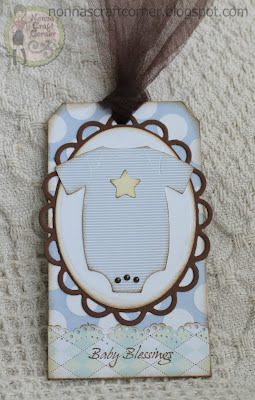 I've been working on a mini album for a special little boy that will be joining his sweet family in just a few weeks. I'm thinking I may have gone a little over-the-top on this one, but his Mommy likes over-the-top, so it's ok! I'll be giving this to Knox's Mommy tonight, and I so hope she loves it! 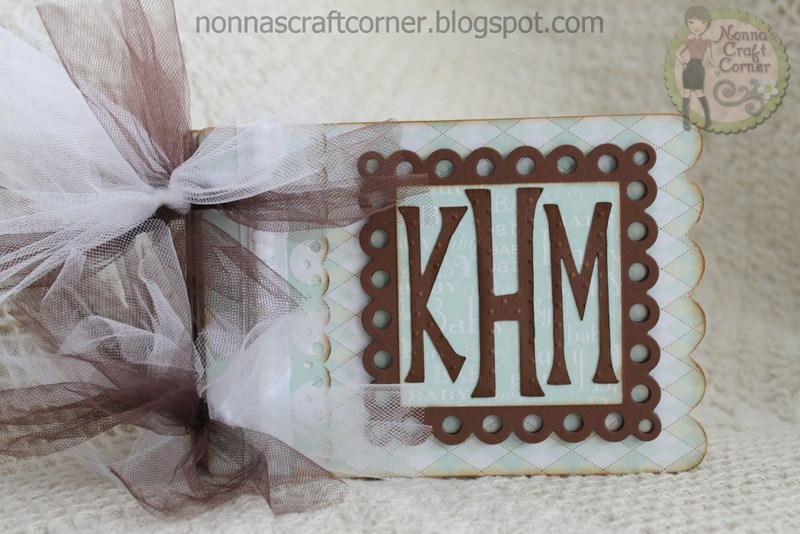 * I started with a plain, chipboard mini that I picked up at Micheal's. 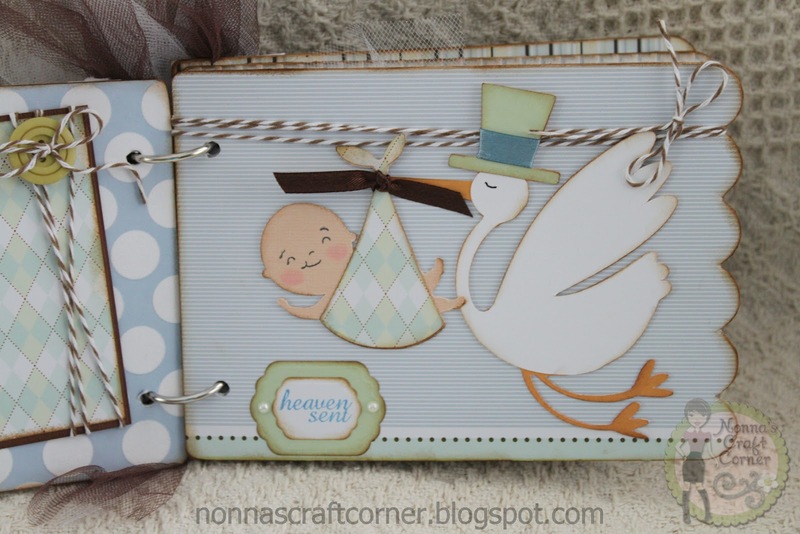 * Patterned paper is from the "Baby Boy" paper stack by "Me & My Big Ideas"
* "Cappuccino" twine from "The Twinery"
*"Pink By Design" stamp set "Baby Love"
*"Peachy Keen" stamp set "Boy Mates"
*The sailboat is from "New Arrival"
*Banner is from "Birthday Bash"
*Diaper pins are from "New Arrival"
*Outfit is from Cricut cartridge "Baby Steps"
*Sentiment is from "Pink By Design"
*Lots of brown and white tulle tied to the rings! Ok...all put together and wrapped up! It's almost time for me to head to the baby shower - nothing like "last minute"! Actually, I have been working on this for several days, just getting down to the wire on finishing up! Thanks so much for stopping by! I hope you enjoy the rest of your weekend! What a sweet mini! Absolutely love all the detail and the use of tool! TFS! This is so adorable!!! 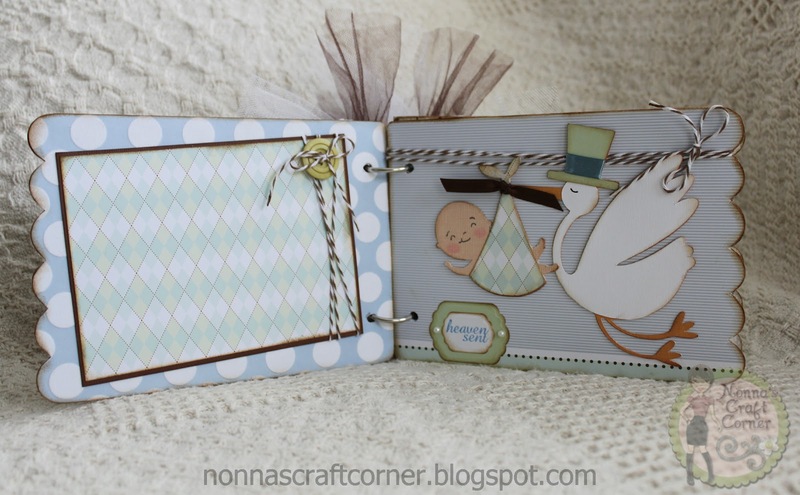 Love all the pages and love all the cuts!! Awesome job!! This is darling. Glad I hopped over from FB to see all of it. 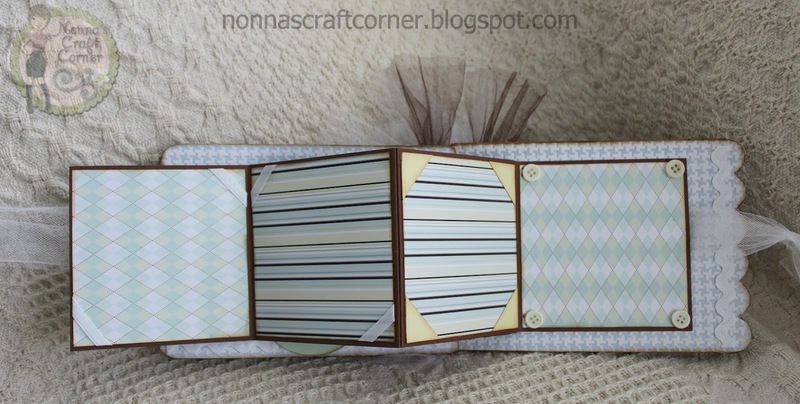 I love this and all the papers you have used. Very cute and sure it will be loved by all who see it. WOW! I think this is by far one of the "Sweetest" mini's I have ever seen! 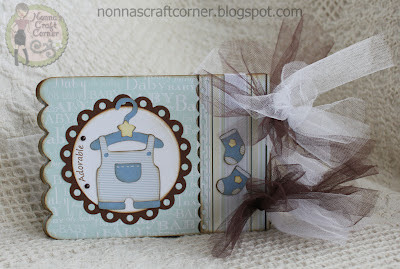 The details are fabulous and I just love the cover - perfect for a baby boy! WOWZERS...this is ADORABLE and so super sweet!!! I LOVE the papers you used. 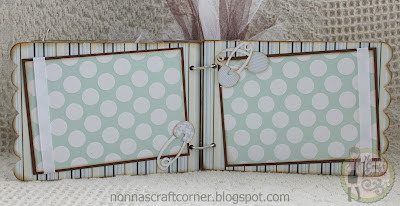 The stripes and polka dots look fabulous and the tulle looks fantastic! She will adore this! AMAZING job my friend!! You did a great job Tanya!! I love it all and I am sure Knox's Mommy will too. Everything from the darling little cuts to the beautiful paper you used... awesome job! Super sweet! I love the colors and the distress inking just makes everything so much softer looking! Thanks so much for sharing!!! This is such a sweet album. I love it. Oh that is adorable!!!! I love everything about this mini album. You did a super fine job with this! WOW!!! I love it!!! I sure hope mommy appreciates all the work and how special she must be to receive such a precious gift!!!! Wow what a really cute gift I think she really enjoy it. this is sooo great!! 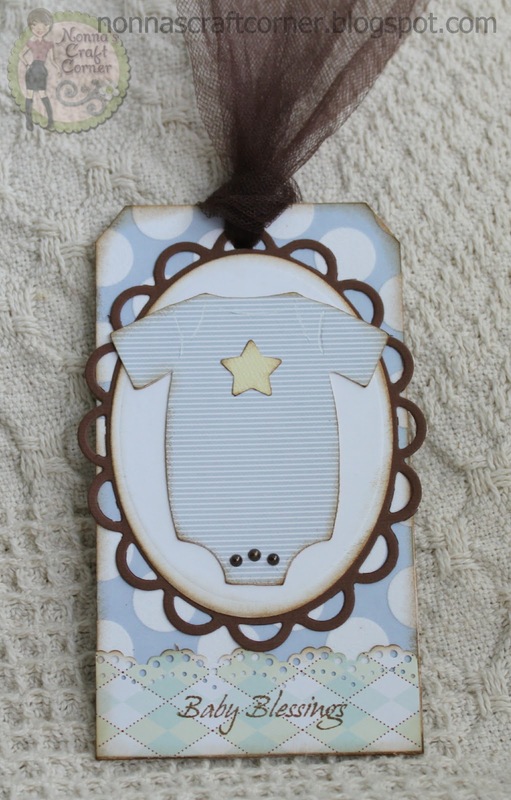 I think you've totally inspired me to make one of these as a baby gift!! I've been wanting to for a while but was a little intimidated to make my first one!! Tanya, this just turned out beautiful. I love all the little details. I hope you get a pic of the mom's face when she receives it. This is BEAUTIFUL!!! I love all the details and just EVERYTHING! I really need to do one of these for my bff! This is absolutely adorable!! What a great gift!! Argh! This is just precious. Wonderful soothing colors. I like the cuts and the arrangement.I adore the mini fold out album inside! Very nice touch. Holy moly...what an amazing project! I may have to do something like this for my SIL she is going to be a new grandma. I think this would be perfect. 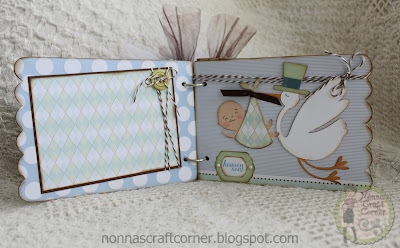 Oh Wow Tanya,this is so adorable.Beautiful album for baby Knox and adore the stork and baby cut.Gorgeous project.